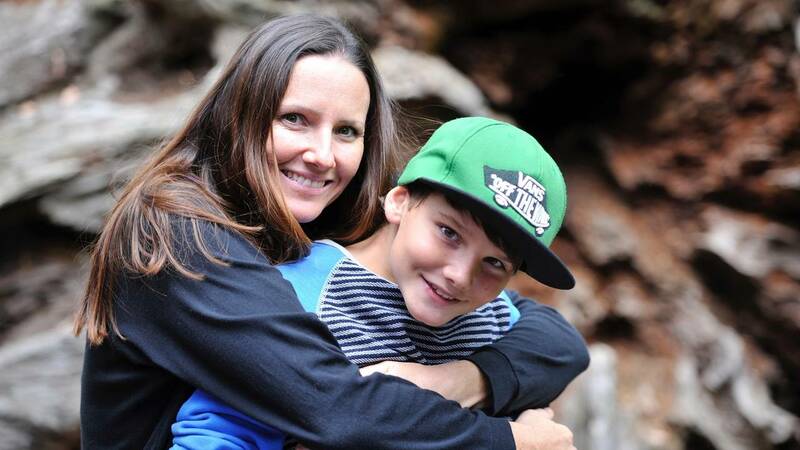 (CNN) - When live-streamed video of the New Zealand mosque massacre surfaced on social media sites last week, Joey Fortman, the founder of lifestyle site RealityMoms, sat down with her husband to discuss how to talk about the topic with their two sons, ages 6 and 10. "My kids are both very much so online," she said. "Honestly, I have no idea how to keep the content clean and clear. It is nearly impossible to filter out bad content on social media channels." It's an issue parents worldwide are increasingly facing as tech companies struggle to deal with the spread of misinformation and inappropriate videos on their platforms. Facebook said it removed 1.5 million copies of the mosque attack video so far, while YouTube said it took down tens of thousands of versions. Twitter hasn't shared details about how many clips it removed. Despite setting up parental controls and directing her children to sites such as YouTube Kids, which has its own set of problems including inappropriate content slipping through the cracks, she's aware social platforms remain a harrowing minefield for kids. Just last month, the MoMo challenge — also known as a "suicide" game that turned out to be a hoax — allegedly circulated on various sites, encouraging kids to attempt dangerous stunts. Some parents reported their children started having nightmares. "I think of how radio is able to filter out all the bad music content," Fortman said. "You won't hear cuss words on the radio. But [these platforms] aren't regulated and parents are still just learning that." "Even with parental controls, kids have the amazing ability to develop workarounds regarding technology," Gregory Ramey, a pediatric psychologist and executive director at Dayton Children's Hospital, told CNN Business. "We have the epic responsibility to protect them as much as possible. I'm not going to rely on YouTube to take care of my children. That's on me." Experts like Ramey largely advise parents avoid extremes with how they talk to kids about technology. On the extreme end: overprotection, overregulation and becoming a "snowplow parent," colloquially known as removing all obstacles in a child's path. The opposite approach: doing nothing at all. "Parents have to find that sweet middle spot so they can feel empowered to impact kids' digital lives," Ramey said. "They live both in the real world and digital world, and they need your help to guide them along." He likens the concept to automobiles, which are responsible for over 1 million fatal accidents each year. People won't give up cars altogether, but we can work to make them safer and better teach people how to drive more appropriately. Similarly, technology isn't going away, but kids can be taught how to be digital citizens. According to David Anderson, a senior director at the Child Mind Institute, a nonprofit focused on pediatric mental wellness, parents should consider sharing facts with kids about current events or viral incidents in a composed manner. He also recommends parents inform children that they may see something that makes them feel unsafe and let them know they're around for support and to talk. "We don't want to over-inform or under-inform kids nor encourage them to respond if they don't want to," Anderson said. "Parents can approach kids almost in a scripted way with a few talking points. In the end, children should feel prepared for what they might see online, so they are emotionally prepared for jarring content." Ramey said viewing one inappropriate video won't likely have any long-term effects on most children unless they're especially sensitive. The bigger concern is repeated exposure similar content. "I basically have to live behind [my youngest son's] shoulder when he's online" she said. "I know that sounds extreme, but for now, that is my action plan. I can't rely on restrictions alone for my parenting strategy." "Unlike learning a sport or violin, you don't get a social media instructor when your kid turns a certain age," Anderson said. "There are no lessons, and the internet is infinitely more complex. A good approach is to be clear with your child that you'll share the responsibility."